The 1821 Cicchetti & Gin Bar is a four week pop-up at 147 Bethnal Green Road, serving cicchetti (small Italian snacks) with cocktails featuring Luxardo's new Sour Cherry Gin. It opens on Wednesday 15th August, and will then be open Wednesdays to Sundays through to 9th September. There will also be events through the run - see their Instagram page for more information. "Fans of gin and new-age cocktails with deep adventurous flavours will be thrilled to hear of a brand new cocktail & cicchetti bar popping-up in Shoreditch, East London. From 15 August to 9 September you can drink lighter Italian-style aperitivi through to re-imagined late night classics at bar 1821. Hosted by Luxardo, 1821 reflects the year when Luxardo, the longest established family-owned Italian liqueurs company, first started distilling. 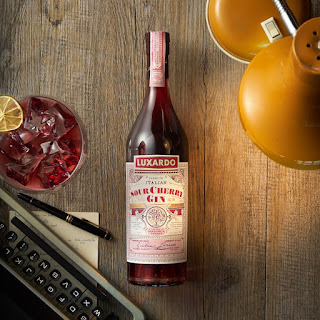 During the month, 1821 will serve the new Luxardo Sour Cherry Gin and a range of other cocktails, plus a menu of eats from Enoteca Rosso. Its East London kitchen will serve speciality charcuterie and cheeses, and artisanal cocktail snacks, from its main restaurant in High Street Kensington W8. 1821 will be the only place where you will be able to drink the intriguing new-style Luxardo Sour Cherry Gin - full of distinctive flavour and Italian flair - ahead of its debut in other bars. In addition to the pop-up, Luxardo will partner with 31Dover.com, so that hands-on cocktail fans can easily order a bottle and try their own home mixing."